Healthy Baby Skin: How to Keep Baby’s Skin Healthy? Moisturizing baby skin not only protects it, it does so much more. Everyday rituals like moisturizing become more powerful when multiple senses, like smell and touch, are stimulated. Studies have shown that routine touch can lead to improved physiological, cognitive, emotional and social development and your baby’s first emotional bonds are built from physical contact. Enjoyable and familiar scents have been proven to improve your baby’s mood, calmness and alertness—while stimulating his memory. Together, your gentle touch and the smell of the lotion you smooth on your baby’s skin, nurture your bond and your little one’s happy, healthy baby development. Your baby's skin will change rapidly throughout his growing years. It's very different from yours—it needs extra protection to keep it clean, moisturized and healthy. Healthy skin is not just an aesthetic nicety. Your baby’s skin barrier is his first line of defense from the outside world. To remain healthy, it is important for his skin to be properly hydrated. Healthy, properly hydrated skin forms a barrier against bacteria and other infections. So start now to safeguard your baby's healthy skin for a lifetime. As you find yourself washing his face and hands more frequently, now's a good time to transition to a cleanser that gently restores moisture while gently cleaning his skin. 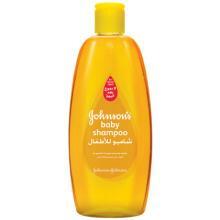 JOHNSON'S® Baby Moisturising Bath is specially formulated to gently cleanse with gentle moisturizers. And it has that wonderful, familiar "baby clean" smell of JOHNSON'S® baby lotion. Keep an extra bottle in the diaper bag for whenever you're on the go. Your baby’s skin absorbs water faster than adult skin can, and can also lose water faster too! That's why regularly moisturizing your baby's skin with a baby moisturizer is a good way to protect against dryness. 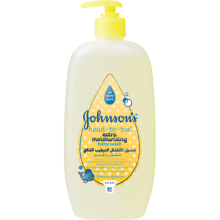 JOHNSON'S® baby lotion is clinically proven to be gentle and mild as it moisturizes, keeping baby’s skin soft and smooth. A nice way to monitor the healthiness of your baby's skin is by giving your baby a massage. It gives you an opportunity to go over the entire surface and to check for dryness or chafing, but it also can be a time for much more. Routine massage has been shown to improve cognitive performance and increase your baby’s alertness and attentiveness. Your little one’s first emotional bonds are built from physical contact, and these serve as the foundation for emotional and intellectual development later in life.